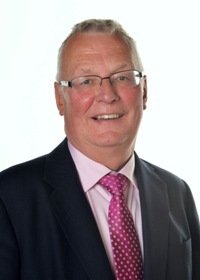 Councillor Logue can be contacted at the Civic Centre on 01698 302226 or by e-mail at loguej@northlan.gov.uk. Election Expenses £443 - North Lanarkshire Labour Group to cover election expenses. 9 November 2017 - Invite from FSB to Annual Dinner - declined. 6 March 2019 - Invite from Clyde Valley Housing Association to attend the ofificial opening of the housing development at Carnegie Library, 25 Academy Street, Coatbridge by HRH The Princess Royal, followed by lunch - accepted. Appointment to City Deal Cabinet - May 2017.